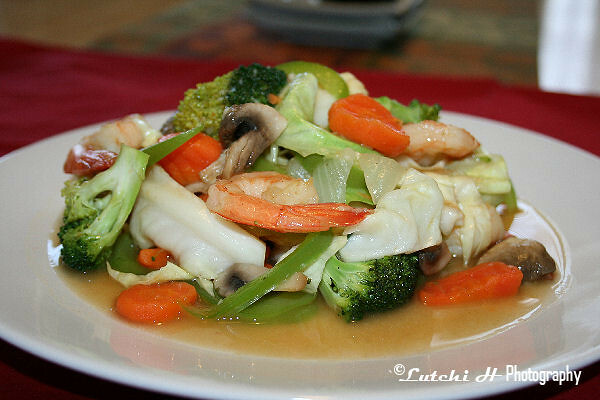 I am supposed to make seafood Chopsuey for dinner the other night but I don’t have all the necessary ingredients. I was too lazy to drive down to the store so I decided to use what I have available in the fridge and this is what I came up with. It’s not what I want it to be but it was delicious. I didn’t do anything special for this recipe. I just sauté all the vegetable until tender , added the cooked shrimps and add some salt and pepper to taste.Bwallaa...instant dinner! oooooooooo that looks so yummy and fresh. great work.